A group of 44 airmen. The first row is sitting cross legged on the ground, the second row is sitting, the third row is standing and the fourth row is standing on a bench. They are grouped in 4 groups of eleven, separated by a small gap. Behind is a tin roofed building. 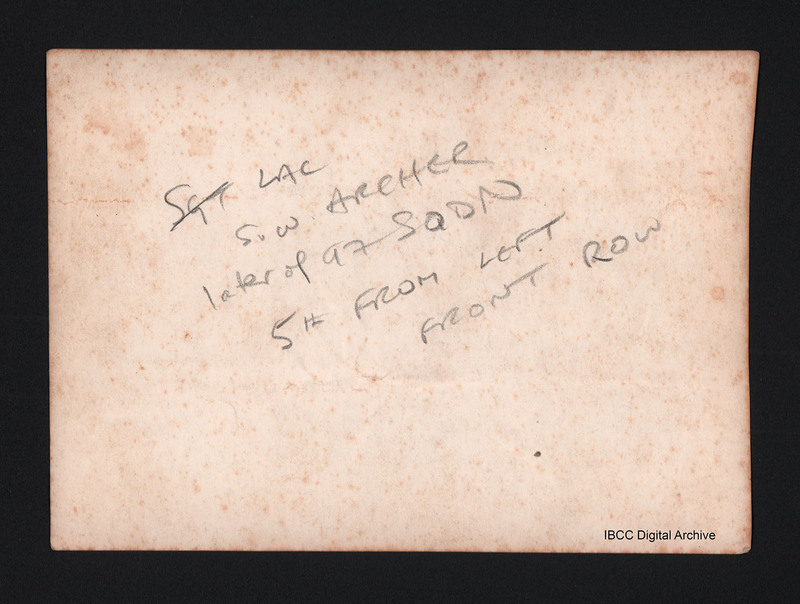 On the reverse ‘Sgt [deleted] LAC S W Archer later of 97 sqdn 5th from left front row’. 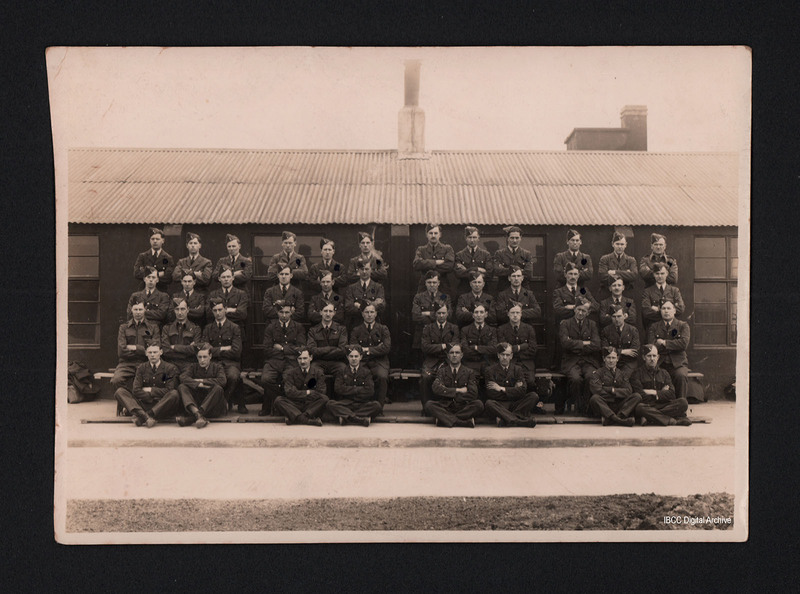 “44 airmen,” IBCC Digital Archive, accessed April 24, 2019, https://ibccdigitalarchive.lincoln.ac.uk/omeka/collections/document/955.